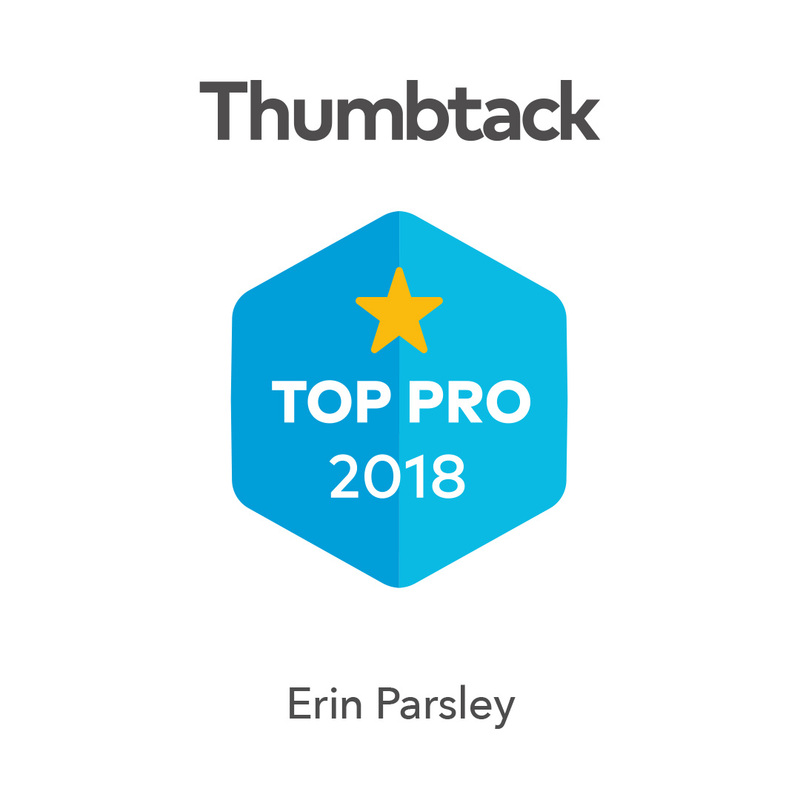 I am a TOP PRO on Thumbtack !!! Less than 4% of all service professionals on the nationwide website portal Thumbtack.com achieve TOP PRO status. 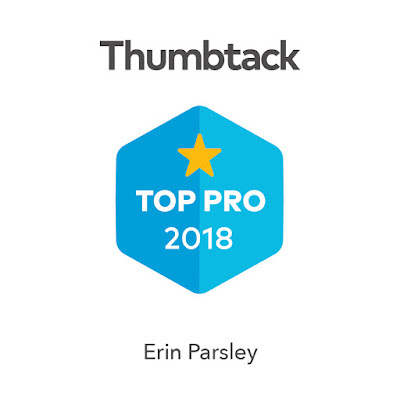 With my 34 5-STAR REVIEWS, the number of times I have been hired, and my outstanding track record for client service and satisfaction, I have been awarded this status each year since they started the program. Come on over to my profile and see what my happy customers have to say about working with me, and learn about all the dance services I offer. "Healers United Global Summit" is about the stories of these Speakers/Healers/Thought Leaders and their interaction with those in need as they work to mend the mind, spirit and physical body to help people in their communities live more fulfilling lives. If you're feeling lost or confused, this Summit will help you find the path on your own mystical journey. The Speakers are intuitive, perceptive, insightful, sensible, warm funny and motivating." 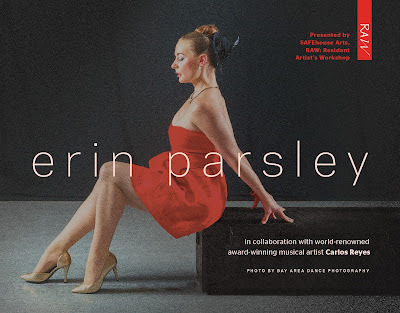 Erin Parsley, with her uniquely luscious blend of improvisational contemporary dance infused with ballet - will be appearing in an exciting new collaboration with world renowned violinist/harpist Carlos Reyes - for an experience of thrilling dance accompanied by live music, that will ignite passion and excitement in the hearts of viewers. Following a 2 year hiatus Blue Scorpion Dance Theater is celebrating it’s re­emergence this June. This new for 2016 work will be choreographer Frederick Gaudette’s first large format piece in 3 years. Set to Ludovico Einaudi’s album Una Mattina, this as yet unnamed piece will explore connections and dynamics between contrasting and complementing ideas, emotions, and forms. Sponsored by RAW (resident artist workshop) a residency program of SAFEhouse for the Performing Arts. 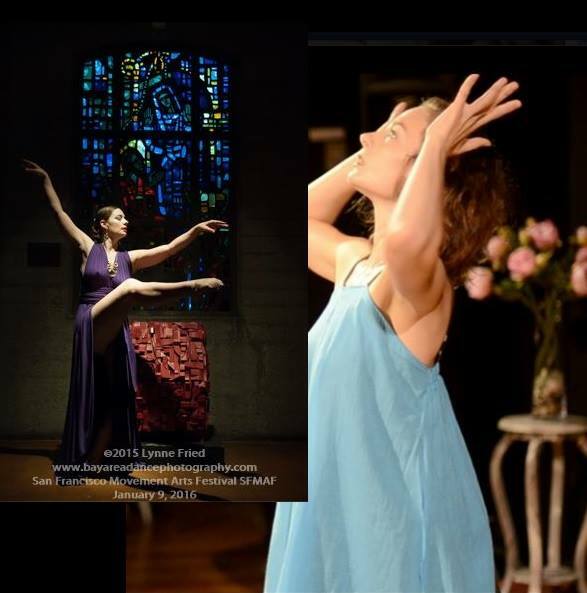 SFMAF will be celebrating the new yr 2016 & past yr 2015 in movement arts of the SF/Bay Area – as we turn the entire Cathedral into a stage – including upstairs main church, downstairs conference center, gymnasium, hallways & 3 chapels. As audience enters Grace, performances will be going on, simultaneously, throughout the grand cathedral. There’ll be over 14 Stations of the Movement (performances) , each will have a unique subject & title – few will be religious in nature, most will not. There’s no specific order as it’s A Walkabout in Grace thru the Movement Arts. Few stations will have music, some in silence, others w/verbal speaking or chanting. There’ll even be a “Movement Choir” like you’ve never seen before. As you stroll around, at your own pace, to witness the movement artists, we’ll be celebrating plus saluting the history of dance, theater and music. In addition, giving a special nod to Grace Cathedral itself by honoring the space, the leaders and staff of the Church. There will be plenty of areas to sit and rest as you go. There will be a dessert reception w/Performance Antics downstairs afterward – all invited & you won’t want to miss this.